The sister referred to in the title and whose antics are shared by her brother narrator, is differently abled or has an autism spectrum condition, is never mentioned in this account of their shared life. That fact is left for the audience to infer by means of the visual and verbal narrative. Clearly life with a sibling like the one the narrator describes is far from easy: his sister communicates not through words but by means of sounds and actions, and sometimes her actions can be upsetting, unless you have an understanding relation like the grandmother herein. At their separate schools the siblings do different things but they both learn a great deal. Life can be embarrassing or upsetting on occasion: strangers often fail to understand the reason his sister acts as she does; and it’s not good to be blamed for something that isn’t your fault. Nonetheless, says big brother, despite their differences, there’s a lot of love between the two of them. 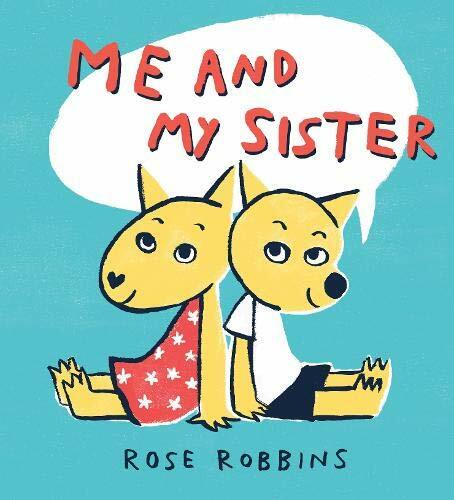 That the debut author/illustrator of this warm-hearted story demonstrates such sensitivity must in part be due to the fact that she herself teaches young people who have autism. Her illustrations are full of fun and her characters enormously endearing. An engaging book to share and discuss both at home and in school.